The gamers have been fascinated by this game because of the scenario. You run through an army of zombes and you have to use your limited ammo to kill them, shooting in the head. Into the Dead 2 provide a lot of guns and you have to unlock the best for the higher levels. You can get stuck when you want to craft new weapons in this game and seems hard to obtain better gusn. You have a ton of guns and wapons in this game but if you want to craft it seems that you need to spend real money. In this article we show you how to get better weapons without spending real money in the game. One of the easiest way to have new and better weapons parts is to remember to play the daily game that lets you to use a random wapon to kill the zombies. You need to kill 250 zombies or more to receive the weapon parts. Doing this, you will receive better weapons and you can expand your arsenal. Because you get a random weapon, choosed by the game it is very possible to have an unlucky day and to receive just a pistol, but some days you can be very lucky to get a shotgun. Also, for this you need to practice and at the firs trie you will not kill 250 zombies but if tou exercise more, you will be able to do the daily quest. The best method to get better weapons in this game are the events. You can find them in the survival section and you will find three events and weapon offers. You can find here parts of guns. The events that offer you guns as prize are harder but if you colect all the survival point you have a chance to go up in the leadeboard and to receive better prizes at the end. Even if, at final, you are not in the first 3 places or in the first 100, it’s ok. You will receive some parts or money and you can use the weapon parts to craft new better weapons. After you play some events and daily quests, you have to craft some guns using the parts that you got. You should see the price that you have to pay to upgrade the crafted gun. The crafted gun must be better than your gun after upgrades. It is very important to save your money for a better gun then to invest in a weapon that doesn’t worth. Also, is better to craft new guns then to upgrade an older one. If in this game is a gun that you want but you don’t have all the parts, you can check in the store, to check the lockboxes and to get the free lockboxez every 3 days to see if you can buy all the parts. Another solution is to spend 200 gold to buy 20+ parts packs. It seemes hard to get gold in this game, but the reality is that you can get gold very easy. You can exchange the gold for silver, and if you need some silver quickly, just go to the shop and change the gold. In the daily quests are some items that will help you a lot. Their name is “perks” and you cand find them in the loot boxes, in story mode or during the events. They are hard to find, but when you find them you should be happy. The perks will provide you reload, faster firing, more ammo, and other things. When you use the persk during the run, you will eliminate more zombies and you can avoid death. If you want to obtain perks you have to play or to replay the story missions ant to complete all the goals that you receive in each episode. When you kill 80 zombies you receive a star, and after 10 stars you will receive a loot box with parts and items. In the loot boxes you can find also perks, in story mode. If you want to get perks you should play events. In the events you will get also silver coins, perks and gold. Even if you won’t get ton of perks, the quantity will be good, so you should trie this method. In this game you can find a plenty of weapons or perks. If you find the perks and special weapons you will kill all the zombies faster and you will run through this game. 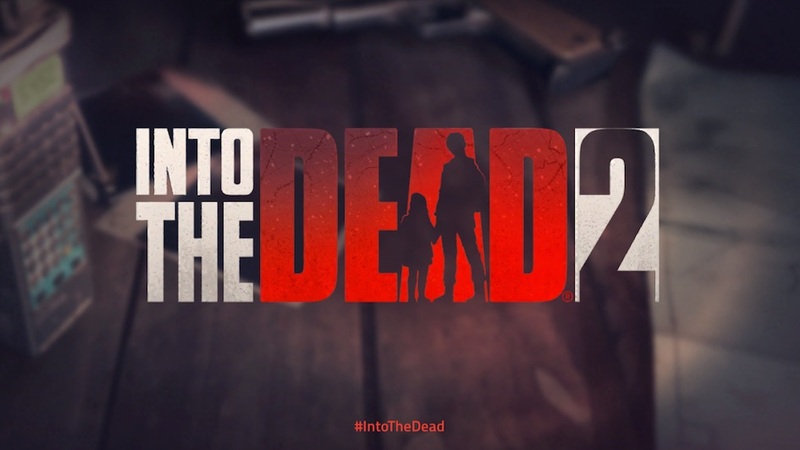 You can use a basic pistol or a shotgun that can kill 4 zombies in the same time or to fire their bodies, and much more, because Into the Dead 2 has a lot of guns and wapons that you can craft and choose. Is the same, speaking about the perks. You can buy them or you can receive them in the game, and be sure that all the perks will change your experience in this game. Trie to use the perks and after quit using them and you will see the difference. It is easy to understand how the weapons work in this game, and to see how much ammo to you have, when you need to reload and what are the fire time rates. It will be challenging and harder to learn when do you have to stop using perks. We recommend to trie to play a level without perks first and if you can’t pass it to trie again using perks. Sometimes the upper levels can be challegind or frustrating and you will be gratefull that you saved the perks for these moments. If you want to have the better weapons in this game fast and without any effort, you need to spend some real money and you will get them in two minutes but you will loose al the fun if you do this.